Translated into more than 180 languages even to that used by Northern Tobas in Argentina, an exceptional seventy-year-old success… El Principito, The Little Prince, le Petit Prince. Translated into more than 180 languages even to that used by Northern Tobas in Argentina, an exceptional seventy-year-old success… El Principito, The Little Prince, le Petit Prince. Antoine de Saint-Exupéry wrote and published his most important work in war times when he was exiled in the United States. A philosophic story for adults and children inspired in the life of a pilot and writer, in his reflections about human condition, the result of an unusual life. Antoine de Saint-Exupéry was born in 1900 in Lyon, in a French noble family. His father died when he was 4 years old and his mother, Marie, had to raise five children alone. He spent his childhood in the family castles in Saint-Maurice, Ain and La Môle, in the region of Var. His childhood lacked worries, it was full of games and laugh, influenced by his mother’s sweetness and taste for painting, music and literature. From a very early age, Antoine developed the taste for poetry as he already wrote at the age of 6. 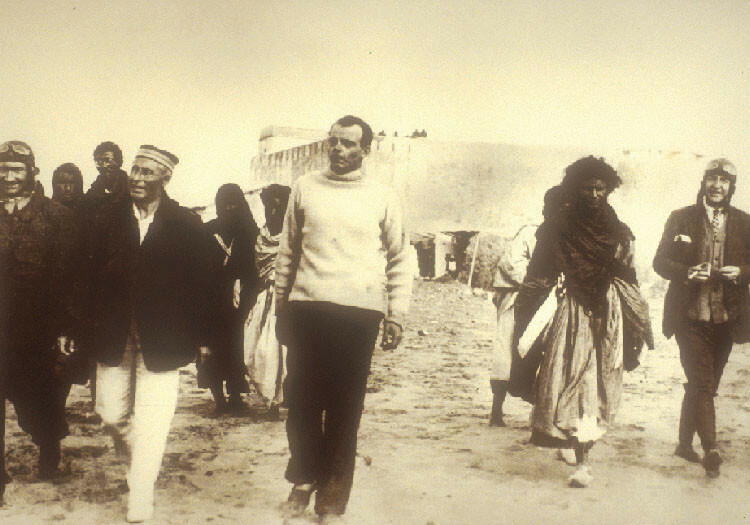 In 1909, Saint-Exupéry family settled down in the region of Mans, place of birth of his father and Antoine entered the Jesuit school. They were the times of the beginning of flying and Antoine was already fascinated by the trials made by the Wright brothers. In 1912 holidays in Saint-Maurice-de-Rémens, he frequently visited a nearby aviation soil and convinced Pilot Gabriel Salvez that his mother had authorized him to make his maiden flight. The pilot accepted. At the age of 12, Antoine de Saint-Exupéry’s two passions were born: writing and flying. When in 1921 he was called to join the army, Saint-Exupéry chose a recently-born force: aeronautics. Firstly he was near Strasbourg, then in Morocco. He got his degree as military pilot. In 1926 he hired a pioneer engineer: Pierre Latécoère. He had the greatest idea of a mail airline between France and the African colonies, Aéroposta’s forerunner. 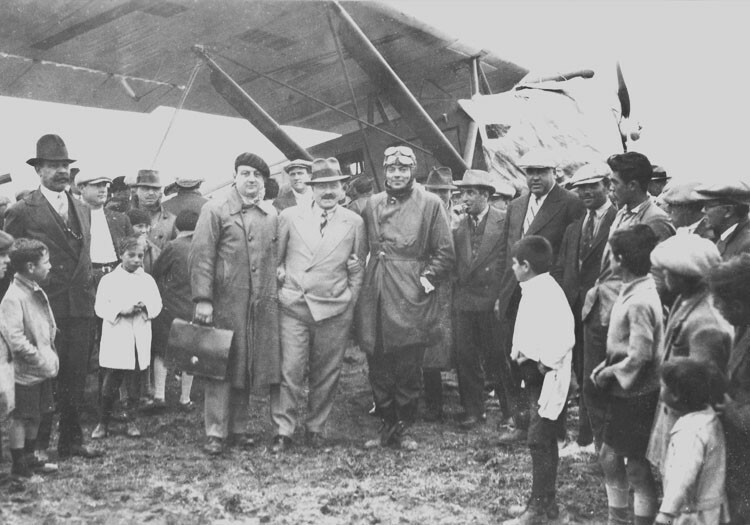 At the Toulouse-Montaudran aerodrome, he met Daurat, Mermoz, Guillaumet. His one-year stay at Cape Juby as exploitation head at the doors of the desert when he had to test his diplomatic abilities to bargain with dark tribes, inspired him to write Correo del Sur (Southern mail). A love story between Bernis and Geneviève based on a love disappointment that let the aviator start making his way as a writer. 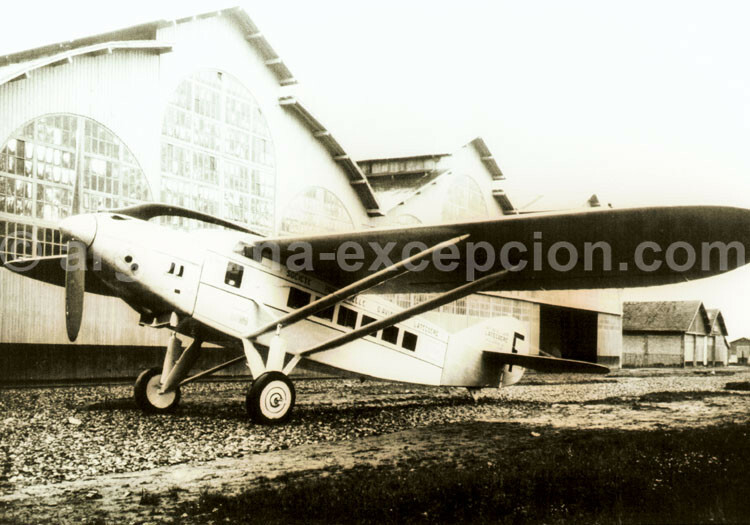 In 1929, he was sent to Buenos Aires, where he met Didier Daurat, Vicente Almandos Almonacid, Henri Guillaumet, Jean Mermoz at the offices of Aeroposta on Reconquista Street. He inaugurated a new line up to Comodoro Rivadavia and then up to Río Gallegos. Saint-Exupéry, who stayed at a flat at Güemes building on Florida Street, didn’t like Buenos Aires. He missed his mother a lot, he always wrote very long letters to her and he also missed France, Paris and his friends. In Buenos Aires, however, he had good rhythm and found the love of an extravagant young widow: Consuelo Gómez Carrillo, who he married in France in 1931. Argentina, however, was the land of one of the most beautiful pages that recreated Aeroposta, those based on solid friendship and heroism memories. The cold and winds of Patagonia were fearsome adversaries for the pilots that flew weekly transporting mail, not to mention those that made night flights. Saint-Exupéry retold these heroic deeds in Tierra de hombres (Land of men) and Vuelo nocturno (Night flight), his second novel, winner of the Fémina Award in 1931. Vuelo nocturno paid tribute to the courage and talent of those pilots who made their ways at night along Patagonia: “The goal may not justify anything but the deed releases you from death.” With this book he became a true writer at the same time that Aeroposta was facing financial difficulties and sent him for more modest position in Toulouse and Africa. Moved by the beginning of the war, up to the armistice and German occupation, Saint-Exupéry chose to go to the United States in 1940. In Piloto de Guerra (War pilot) he narrated the problem: “The job to be a witness always paralyzed me. What am I if I don’t get involved? I need to be part of it to be.” In the summer 1942, he started to write his most important work: The Little Prince. At the end of the war, despite his old age as a pilot, he returned to the service of the allied forces on photographic surveillance flights. On July 31, 1944, Antoine de Saint-Exupéry took off from a base near Bastia towards a mission near Grenoble. He never came back.